Home/Infrastructure and Planning/Time for an All-Island Waste Strategy? Time for an All-Island Waste Strategy? An All-Island Waste Strategy would constitute a crucial component of efforts to develop a sustainable and mutually beneficial waste management solution by 2040. The Republic of Ireland government’s recent consultation on a new National Planning Framework (NPF) 2040 aims to set a new strategic planning and development context through the co-ordination of a range of national, regional and local authority policies and plans. The plan seeks to underline the importance of an all-island approach to planning and development and the promotion of mutual cross border cooperation. Within the context of waste management, the significance of strategic planning cannot be underestimated. 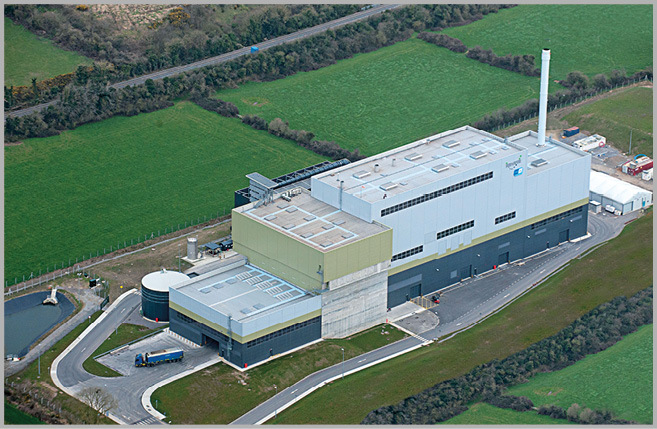 Strategic waste infrastructure is not only needed to support the economy and society but is vital for Ireland, both North and South to treat its waste in a self-sufficient and sustainable manner. In Northern Ireland waste planning is formed by the regional waste management strategy together with the waste management plans adopted by the bodies representing councils such as that of arc21. Similarly, in the Republic waste planning is informed by the waste management plans for the Southern, Eastern-Midlands and Connacht-Ulster regions. In both the North and South these plans have called for further investment in waste treatment infrastructure and have highlight the need for increased self sufficiency in order to minimise the export of waste which represents a lost economic resource. Such forecasts are of even greater significance given the projected population increase to 6.5 million across the island of Ireland by 2040. In light of such projections by the Northern Ireland Statistics Agency and Central Statistics Office, the NPF must reflect these plans in the short term and provide a strategic framework approach to waste management out to 2040. A strategic approach to waste management should be co-ordinated through the development of an All-Island Waste Strategy. Given recent developments, most notably in the form of the UK’s referendum on membership of the European Union, enhanced cooperation appears to be of even greater importance going forward. There has already been successful and practical cooperation through the joint procurement of waste management services by publicly funded hospitals. Benefits of an All-Island Waste Strategy include efficient use of existing waste treatment capacity, economies of scale and ensuring that all disposal and treatment options available on the island would be firstly exhausted before relying on export. The export option is unlikely to be available into the long-term, given the increasing difficulties with securing outlets on continental Europe for waste exported from the island of Ireland. The availability of sufficient domestic waste management capacity is essential to reduce the island’s vulnerability to external forces due to dependency on the export market for the treatment of recyclable waste. Should a ‘full’ Brexit occur, i.e. whereby the UK leaves the European Union without concluding a Free Trade Agreement, the Republic of Ireland could enter into a bi-lateral agreement with Northern Ireland as part of the UK for the movement of waste. In conclusion, an all-island approach to waste management is a key element of a sustainable waste management solution to 2040 and beyond. Such cooperation will be of vital importance to ensure that the island, as a whole, can develop in a sustainable and strategic fashion amidst unparalleled challenges likely to be seen in the next number of years as the implications of the Brexit referendum become clear.